I have to admit that, for years, I had a reluctance to use “spice blends”. It was a carry over from when I realized that most of the spice blends on the market were really just a few sad dried up flavorless herbs blended with a lot of salt. 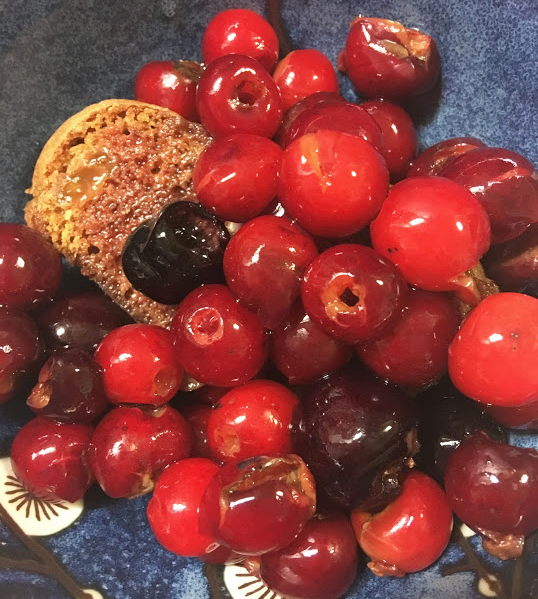 Now I understood that the spices from Épice de Cru were different—that they sourced the best they could find, were committed to preserving the flavor, and presenting them in the best way possible. I even had some of their spice blends in my pantry, but I just wasn’t using them. That changed after I attended Ari’s Top Ten Spices tasting back in May during Spice Week, which is when I became inspired to start doing some experimentation. I decided to start with Silk Road Blend. The first time I saw and smelled this product I was compelled to buy a tin. 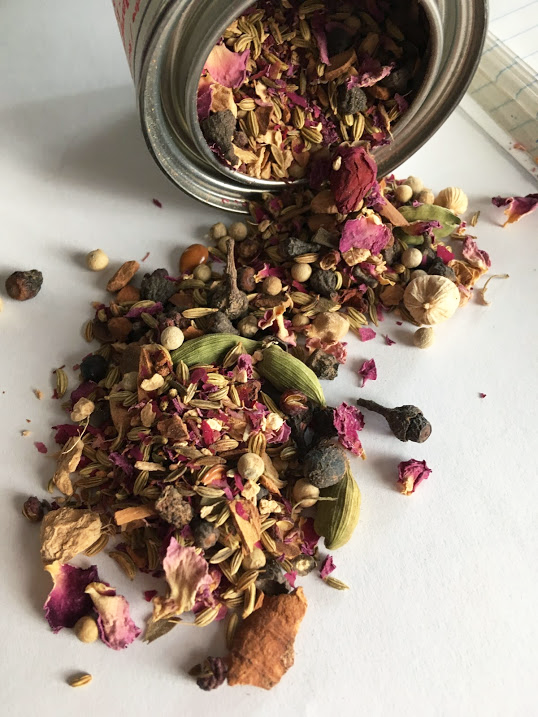 It is such a beautiful mix of spices—you can see the red rose petals mixed in with the bright green of the cardamon and the orange brown of the cassia. It also contains ginger and fennel, cassis, star anise, long pepper, szechuan pepper, saffron, and cloves. Quite fragrant and beautiful! If you get to the Deli be sure to ask to smell a sample. I don’t think I can do it justice by describing it, but it’s exotic and enticing and transports me to other lands. The first thing I had to figure out was how to grind the spices. The folks at Épice de Cru recommend using a granite mortar and pestle, but I haven’t yet invested in one that is large enough. However, I do have an extra electric coffee grinder tucked into one of my cabinets, so I decided to use it. This works great, but I found that I need to put in at least 2 tablespoons of the blend so there’s enough of the spices to grind. (With a mortar and pestle you can do a smaller portion). 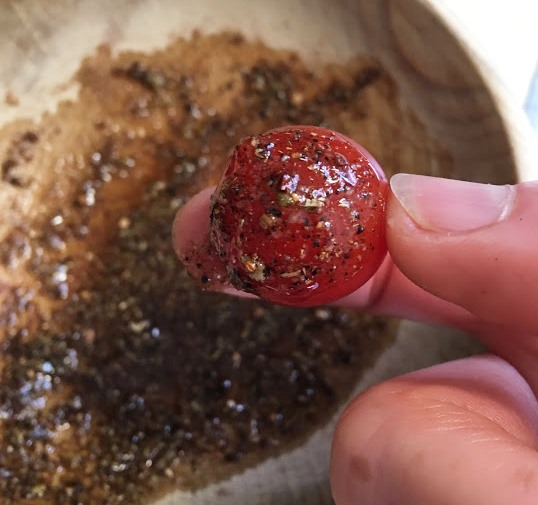 There is an upside to grinding a bit more spice though—I didn’t want it to go to waste, so it encouraged me to test out a few different recipes. 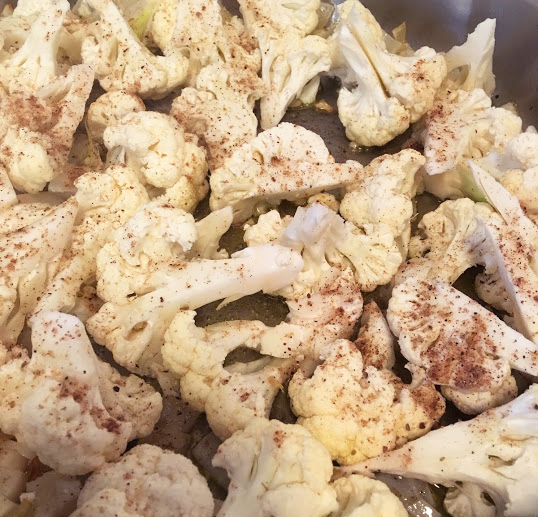 Put cut cauliflower in a large bowl with the olive oil, silk road blend, salt, and olive oil. Toss to blend and thoroughly coat cauliflower. Bake for 15 minutes, check to see if one side is more done than another, and if so rotate pan in oven. 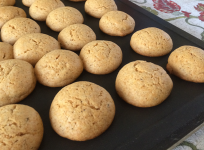 Continue baking for another 10-15 minutes depending upon desired doneness. Use a small plate with a bit of a rim to it. Mix the spice and salt, pour oil over the spice & serve with raw veggies and slices of bread. Zingerman’s Bakehouse Paesano is always my go-to for dipping, but the True North or the Country Miche would also be a nice pairing. Place heavy cream, maple syrup, and grounded Silk Road Blend into mixer. Beat on high until medium-to-stiff peaks form. 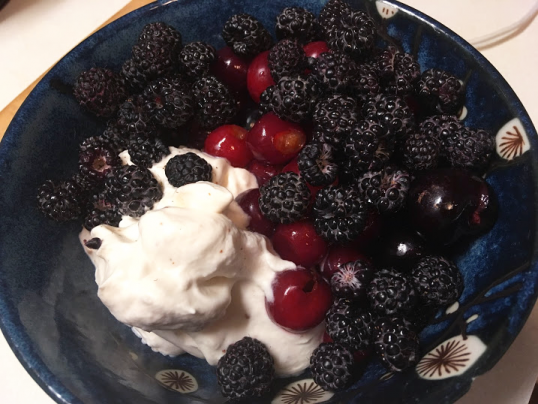 You can also make this a shortcake style dessert by topping a slice of any Zingerman’s Bakehouse coffee cake with cherries and whipped cream. I had a Bumble Honey Cake in my freezer which I enjoyed. For something more neutral, you can use Sweet Butter Tea Cake, which the Bakehouse makes every so often, and I always love the Blueberry Buckle with this combination. 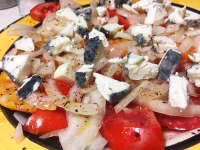 Cooking with Grace: Michigan Tomato Salad Is in Season! The Spicy Minute: 6 Tastes, 10,000 Flavors!